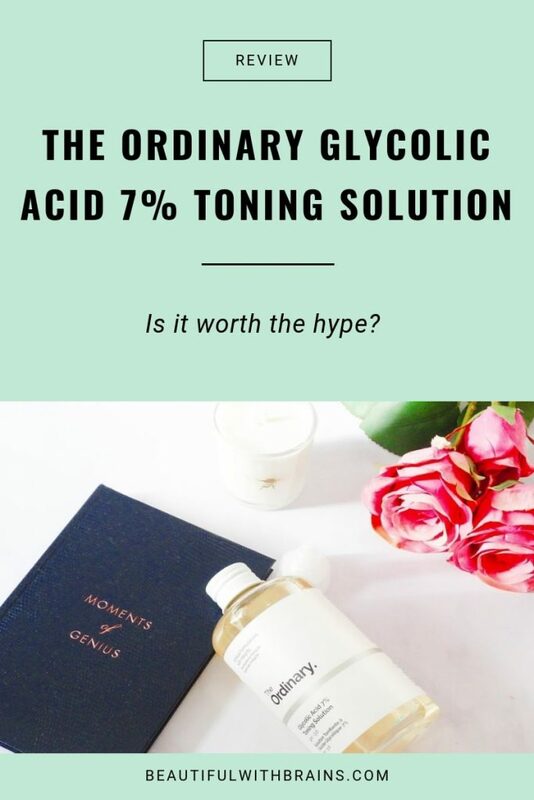 I’ve been raving about The Ordinary Glycolic Acid 7% Toning Solution for more than a year now. I’ve told you it’s a dupe for Pixi Glow. But I haven’t done a proper review yet. Awesome, right? It’s so effective because it’s the smaller member of the Alpha Hydroxy Acids family so it penetrates skin more deeply than its siblings lactic acid & co. But, there’s a catch. In the skincare world, more effective usually means more irritating. That’s why it’s a good idea to start with a low concentration (this one is low) a couple of times a week and build up both dose and frequency from there. P.S. If you have oily or acne-prone skin, you can stop reading now. Glycolic acid is awesome… for dry and sun-damaged skin. Your skin type needs salicylic acid (it exfoliates the pores too) and this toning solution doesn’t have it. Amino acids are the building blocks of proteins, like collagen and elastin. Without them, your skin would lose all its firmness and elasticity. Arginine: may help wounds and skin cell damage heal faster. Glycine: helps repair damaged tissue and speeds up the healing process. Histidine: fights the free radicals that cause wrinkles and has anti-inflammatory properties that soothe skin. Proline: reduces the appearance of wrinkles and fine lines and restores collagen synthesis after UV exposure. Exfoliating toners are the only type of toner I bother with. I must get my exfoliating fix somewhere and if a toner can do the job, awesome. I alternate it at night with a retinol serum. It’s a liquid, so I pour a little on a cotton pad and apply it to my skin. 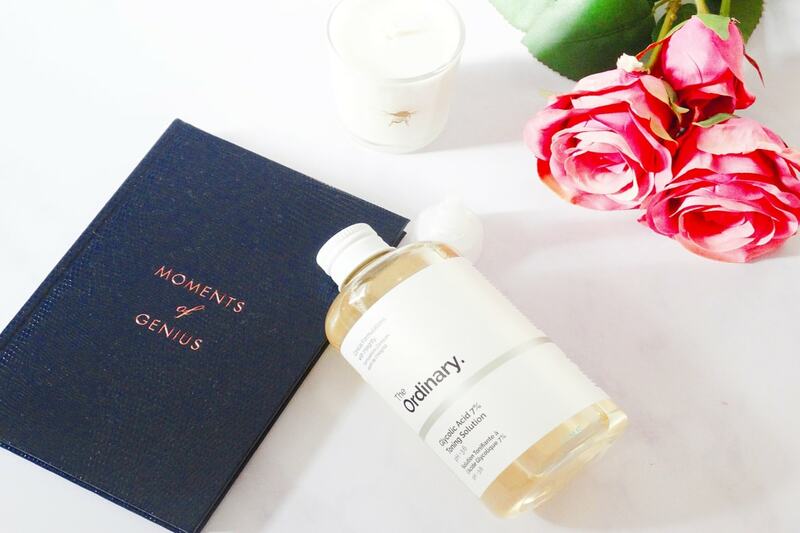 If it’s your first time with glycolic acid, you’ll probably experience a gentle tingling. That’s totally normal. If you get a burning sensation, on the other hand, that’s your cue to discontinue it. If your skin is too sensitive, it’ll never go along well with glycolic acid. 🙁 As for me, I’m used to acids so I had no tingling or burning. After just a couple of uses, I could already see a difference. My skin’s texture is smoother. The pores around my nose (the only area where you can see pores on my face – I know I’m lucky) look smaller and tighter. My whole face glows. With regular use, glycolic acid also helps fade dark spots, including the brownish mark those nasty pimples sometimes leaves behind. But I don’t have them (again, lucky, I know!) so I can’t personally vouch for this. But the science is clear: if you have light hyperpigmentation, glycolic acid can help. If you have severe hyperpigmentation, use it together with a more powerful skin-lightener. The Ordinary Glycolic Acid 7% Toning Solution exfoliates skin, smoothes out the texture of your skin and gives your complexion a subtle glow. Used regularly, it helps fade dark spots too. What Are The Best Moisturisers For Oily Skin? I have combination skin, should I use glycolic acid and hyaluronic acid serum on the dry spots of my face (cheeks and corners of my mouth) and salicylic acid on my t-zone and nose? Can I do that? Jade, yes, you can do that. Have you heard of or tried the Bliss Incredi-peel pads with Glycolic acid? How would you say they compare? Amelia, they pads contain 10% glycolic acid so they’re a bit more effective than this toner… but also potentially more irritating. I wouldn’t use them daily but 2 or 3 times a week, they’re cool. I have acne and combination skin. Is this glycolic acid toner not good for my skin? Farah, if you have acne, you need a toner with salicylic acid. Glycolic can’t fight acne. The majority of search results tell me that glycolic acid is a good ingredient to fight oily skin and especially if you are prone to break outs, this review is the only place I’m seeing that says otherwise. Are you able to cite your source(s) that support your claims? Debra, I would recommend you use them on alternate nights if possible.